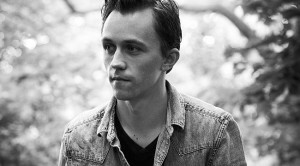 A native of Norway, Sondre Lerche took his first guitar lesson at age eight, wrote his first song when he was 14 and released his first album when he was 19. Now turning 30, the singer-songwriter is preparing to reissue several albums from his back catalogue and put out a live album. We talked to him today for a feature for a weekly paper, but since we’ll only use part of the interview, we wanted to post more of the conversation here. This tour is a something like a 30th birthday celebration since the first night of the tour falls on your birthday. I guess it’s a desperate attempt to prolong the celebration of my birthday since it’s going to last for an entire month. I feel great about turning 30 . . . It feels good. I feel it’s a privilege to do what I do and to realize I have been doing for 10 or 12 years. It feels good to be able to look back a little and discover songs that I’ve forgotten about and bring them back into the repertoire. I think you started taking guitar lessons when you were eight. What was that experience like? Um, it was sort of frustrating. I signed up for guitar lessons and I thought I could learn what I wanted. It was classical guitar and it was not for me. I kept trying to do that for a couple of years and I was terrible at it. It was a waste of everyone’s time. It was close to killing my initial excitement for music and for learning to play. My mom wouldn’t let me quit and I wouldn’t let myself quit, but it was terrible. I can identify with young people who say they feel like their fingers are no good for music. I dealt with all that as well. It felt more severe because it was classical music and your fingers were moving more than anything and you had to have strange positions. It was very technical and complex. I can with confidence say that it’s not true when young people tell me it’s not something they can do. It’s just goddamn hard in the beginning, especially if you can’t relate to the music. I wish now that I could impress people by playing some classical pieces. But I remember nothing. There’s nothing there. I’m thankful that I had a good teacher who eventually realized it was a dead-end road and taught me Brazilian music and bossa nova. That became a way into the music that I now appreciate. How did growing up in Norway influence your music? I don’t’ know. It’s hard to say because it’s the only place I did grow up. You’re at the outskirt of popular culture. In a way you are less inclined to categorize things. It’s all sort of a big mess of things. Maybe you become less judgmental in a sense. I think I was excited and influenced by the stuff my mom would play in the car, which was the soundtrack to Grease and bands like Wham! and my sister was going through the Goth thing so she was playing the Cure and Depeche Mode. My brother was playing A-ha and the Pet Shop Boys and by the time the ’90s started, I had access to MTV and they were playing Nirvana and Elton John side by side. None of the boundaries that I see clearly now existed. I was just into pop music and I realized it could also be jazz and grunge and electronic. Then are genres just a record company invention? To a certain degree, music can become a vehicle on how you want to be perceived. You’re looking for an identity and it’s a quick way to show who you are. I don’t know if it works that severely anymore. Now, people are going back and forth and all music is available all the time. Music doesn’t define you as much because people are open to different kinds of music. It also moves so fast. It’s a bit more in the moment–you’re a Goth rocker and then the next you’re digging the new Taylor Swift single. I guess the concept of artists with long careers has gone out the window. Yeah, I feel lucky because when I released my first record, I was signed to a major label and it was right before everything went to hell for the major labels. I benefited from the last peak of that world when they had a lot of resources and money to invest in this old-fashioned way of building my career. I don’t know that I could have lived up their expectations, but we were never to find out because everything fell apart. In a way, I got the best of both worlds because now I can have my own little label and run that and have more grounded expectations as to what my music can do. It’s in a more pleasant place, but it’s also a lot more work. It feels good to be in charge. What did you take from touring with Elvis Costello in 2007? I took discipline. I understood discipline more. I saw how they worked every day to expand the repertoire. It wasn’t about achieving perfection but it was about constantly moving forward and bringing in old songs and bringing in new songs and constantly changing the repertoire. The hunger for music was very energetic and there was a vital vibe during that whole tour. I was taken aback and inspired by that vitality. What’s it been like having your own label for the past three years? I have a lot of really great helpers and I couldn’t have done it without them. I couldn’t do it without my manager and the distribution that I have. That has allowed me to truly do it. That’s also the best of both worlds in a way. I maintain the control and artistically I feel completely free but I have industry professionals who can take care of all of that to make sure it’s not a flea market of music releasing. Talk about the recording process for your last studio effort, last year’s Sondre Lerche. It was wonderful. It was a record that I didn’t prepare a lot for it. I write the songs as I usually do. I spend a lot of time writing the songs and that takes a lot of time. When I had the songs, there was no preparation. We just went in the studio. I gave us two weeks to record it and of course if it didn’t go well, I wouldn’t have released it. But it went really well. That limitation sparked a certain energy and the desire to strip things down and make do with less in a sense. It was energizing. Will you approach the new songs in the same way? I have no idea. I’m sort of in this limbo. I’m writing new songs and I’ve been working on some things but I’ve been caught up in the live record and the vinyl reissues. I’ve been looking back at the different periods of the last ten years and what I was really trying to do and what I succeeded at and what I still haven’t achieved artistically. I have some songs I want to pursue so we’ll see. I probably won’t put the same limitation on this one. It might take more than two weeks to record.